Cheer for the Oakland Raiders with this Limited Women's Vontaze Burfict Oakland Raiders Nike Vapor Untouchable Jersey - White! 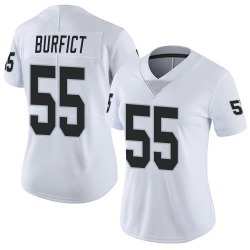 Featuring Oakland Raiders and Vontaze Burfict graphics, this jersey is the perfect way to look great and show your pride. Cheer for the Oakland Raiders with this Limited Women's Tyrell Williams Oakland Raiders Nike Vapor Untouchable Jersey - White! Featuring Oakland Raiders and Tyrell Williams graphics, this jersey is the perfect way to look great and show your pride. Cheer for the Oakland Raiders with this Limited Women's Trent Brown Oakland Raiders Nike Vapor Untouchable Jersey - White! 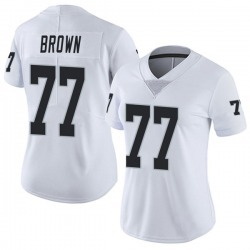 Featuring Oakland Raiders and Trent Brown graphics, this jersey is the perfect way to look great and show your pride. Cheer for the Oakland Raiders with this Limited Women's Ryan Grant Oakland Raiders Nike Vapor Untouchable Jersey - White! 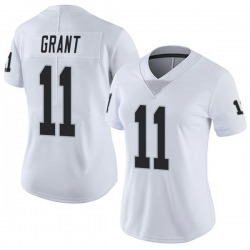 Featuring Oakland Raiders and Ryan Grant graphics, this jersey is the perfect way to look great and show your pride. Cheer for the Oakland Raiders with this Limited Women's Nevin Lawson Oakland Raiders Nike Vapor Untouchable Jersey - White! Featuring Oakland Raiders and Nevin Lawson graphics, this jersey is the perfect way to look great and show your pride. Cheer for the Oakland Raiders with this Limited Women's Mike Glennon Oakland Raiders Nike Vapor Untouchable Jersey - White! 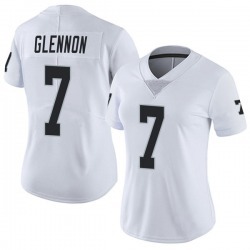 Featuring Oakland Raiders and Mike Glennon graphics, this jersey is the perfect way to look great and show your pride. Cheer for the Oakland Raiders with this Limited Women's Luke Willson Oakland Raiders Nike Vapor Untouchable Jersey - White! Featuring Oakland Raiders and Luke Willson graphics, this jersey is the perfect way to look great and show your pride. Cheer for the Oakland Raiders with this Limited Women's Landry Jones Oakland Raiders Nike Vapor Untouchable Jersey - White! 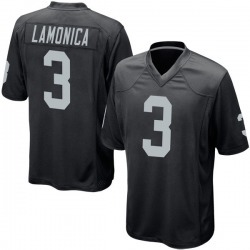 Featuring Oakland Raiders and Landry Jones graphics, this jersey is the perfect way to look great and show your pride. Cheer for the Oakland Raiders with this Limited Women's Lamarcus Joyner Oakland Raiders Nike Vapor Untouchable Jersey - White! Featuring Oakland Raiders and Lamarcus Joyner graphics, this jersey is the perfect way to look great and show your pride. 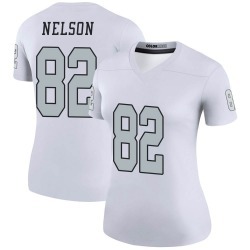 Cheer for the Oakland Raiders with this Limited Women's Josh Mauro Oakland Raiders Nike Vapor Untouchable Jersey - White! 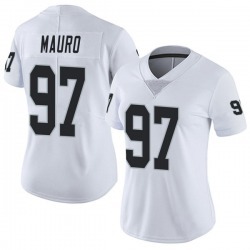 Featuring Oakland Raiders and Josh Mauro graphics, this jersey is the perfect way to look great and show your pride. 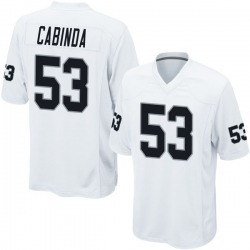 Feel like one of the pros in this Game Youth Jason Cabinda Oakland Raiders Nike Jersey - White! It features an authentic look that will hype you up every time you throw this on. 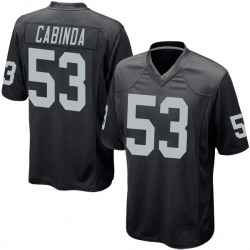 Feel like one of the pros in this Game Youth Jason Cabinda Oakland Raiders Nike Team Color Jersey - Black! It features an authentic look that will hype you up every time you throw this on.